This past weekend Rodeo Fine Homes opened its new Heritage Collection site in Sharon Village for a VIP event. The sales team is proud to announce that we sold out Phase 1 in its entirety during the event! We’d like to thank all of the new Heritage Collection owners for making our VIP opening such an overwhelming success, and we’d also like to congratulate them on the purchase of their new homes. Rodeo Fine Homes would like to thank the team from the East Gwillimbury Parks Department for putting their time and effort into making the grounds at our heritage home in Sharon Village, so beautiful and welcoming. We’ve received countless compliments on the property, and we’re certain it will remain a neighbourhood highlight for years to come. 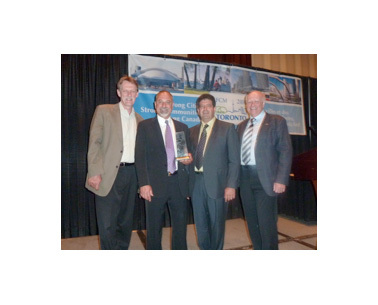 Our grand opening VIP event would not have been so..
By Bryan Tuckey, President & Chief Executive Officer at Building Industry and Land Development Association (BILD). Originally published in BILD Magazine, summer 2012. At the Building Industry and Land Development Association, we have a number of members who are pushing the limits, stretching expectations and asking the people they work with to think differently about sustainability. 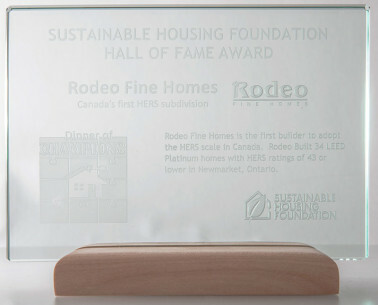 When Rodeo Fine Homes made its first foray into green building, it didn’t do it in small steps. It took a quantum leap. 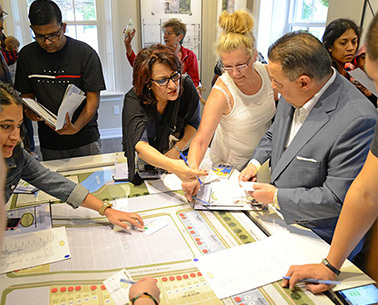 The small custom-home builder took on the task of building Canada’s first LEED Platinum subdivision when it answered a request for proposal from the Town of Newmarket, Ont. In January 2006, Rodeo bought 34 lots for $3.2 million from the town that had..